I am home, finally, and starting to get settled back into whatever counts as normal these days. I have been reading, but I’ve been pretty absent from this space. Hopefully I’ll get back into a rhythm soon, but for today, I thought I’d post about the books I’ve acquired in the past few weeks. 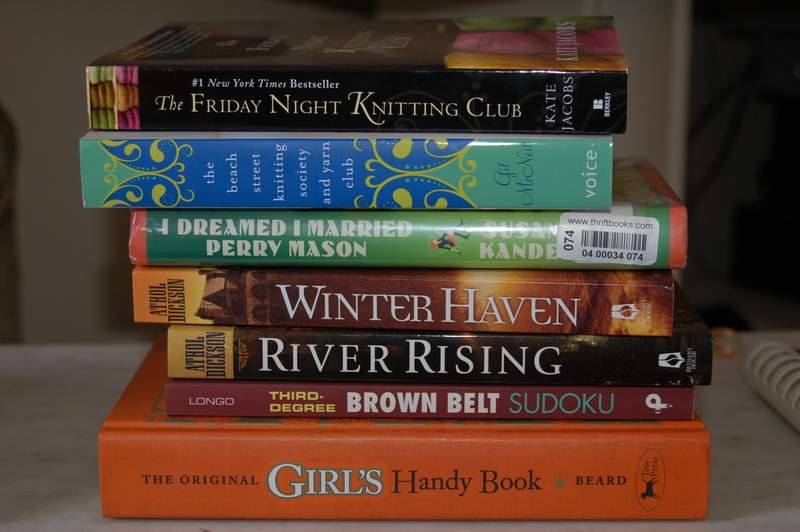 The lower five books were all Christmas gifts. The top two were early birthday gifts, after Christmas. People were at the store, saw them, and thought of me! 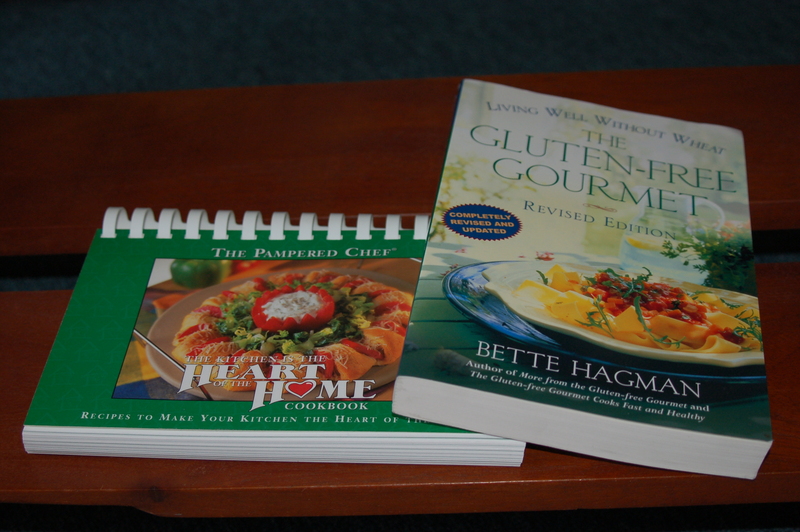 In addition to the stack above, I also received these two cooking-related books for Christmas. I know I don’t normally blog about all the books that come into my house, but in this case, I thought it worthwhile and fun. 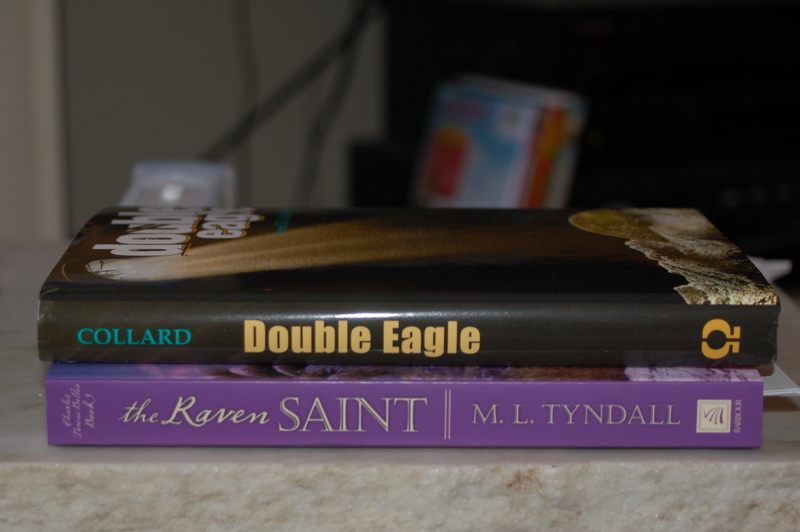 These two books were waiting for me in the mail when I returned home, both sent by their respective publishers. Are you already back into the swing of things? How long does it usually take you to recover from the holidays? This entry was posted in books, fiction, WordLily and tagged reading. Bookmark the permalink. 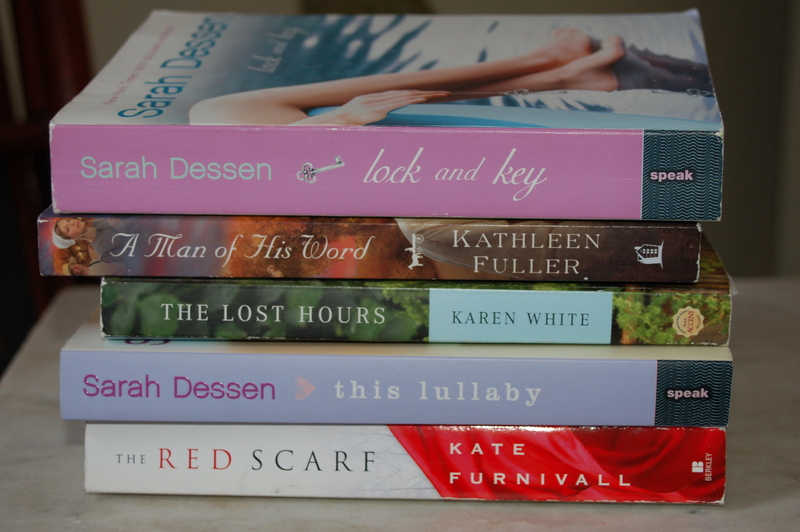 Books for Christmas = heaven on earth!! You lucky girl, you. Wow, you’ve got a lot of great books in those pictures! I Dreamed I Married Perry Mason made me laugh because I’ve been having lots of crazy dreams like that lately. Enjoy! It’s a great title, isn’t it? Unfortunately, it’s like the holidays never happened around here. The mini-vacation is over and work is busy again. 😦 I’m missing all the quality time I had with my own books. Ooo, I LOVE Athol Dickson. Winter Haven is very good, and River Rising is absolutely brilliant! I added all his back list to my wish list after reading Lost Mission. I’m looking forward to them. Glad to see you back. You really got quite the haul there. Books are the best gifts, aren’t they. Friday Night Knitting Club is one I really enjoyed. I hope you do too. Yeah, I got a few. :p Glad to hear you enjoyed Friday Night Knitting Club; I’m looking forward to it. I really enjoyed The Lost Hours. Hope you do, too. Happy reading! Welcome back! Looks like you got some good ones. Now all you need to do is find the time to read them! Lots of great looking books there! Happy reading!